Nothing more to so ,just for fun. nice wall. very funny too. owww! its so so so so cute! did you made this? I mean did you draw this one? ^^ I lyk it~ and also I love this part of the episode~ hehe lol. 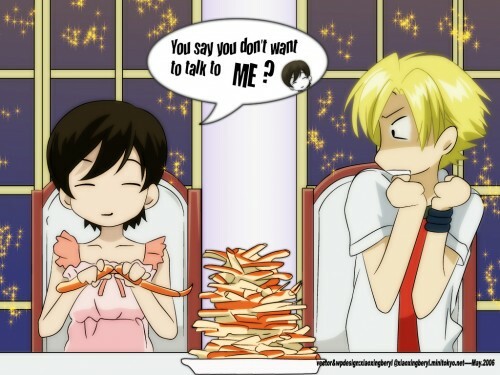 I love this part....Kawaii haruhi.. So funny ! Love Tamaki, kawaii ! hahahahah so funny, just made my day! lol... loved this part of the anime... now i get to have it on my desktop too!